Did POTUS fire Sally Yates because she was on to his USSR connections? Or because Ms. Yates refused to defend exec order? Submitted by Jeff Buster on Tue, 02/14/2017 - 23:41. POTUS has been married 3 times. That's much like someone who I knew involved with Realneo back in 2004. Very confident, extremely bright. Massively inventive. Ready to interview all the local Mayors and civic leaders. I went along. Felt pretty cool. Access. So when I read about Flynn speaking from the Dominican Republic to Russian reps - and his convos were being recorded by the CIA - and Mr. Flynn "resigns", well, I ain't buyin in. Submitted by lmcshane on Tue, 02/14/2017 - 10:46. Here's a Noble Road illegal dump update. No arrests ... yet. Arco has appealed. The pre-hearing is scheduled for March 1, 2017 at 10 a.m. in Columbus. Arco is alleging that Ohio EPA Director Craig Butler didn't have the legal authority to close the dump and that his clean-up time is unreasonable. He gave them two weeks. The woman in the picture is Christina Beynon, the current Arco dump owner. Submitted by lmcshane on Mon, 02/13/2017 - 10:04. Submitted by lmcshane on Mon, 02/13/2017 - 09:49. Submitted by Quest-News-Serv... on Mon, 02/13/2017 - 07:36. Submitted by Quest-News-Serv... on Mon, 02/13/2017 - 02:50. Tens of thousands of people have been fleeing California towns downstream from the Oroville Dam after fears of an imminent collapse of its spillway prompted an evacuation order. Authorities are seeking to stem the breach with the help of helicopters. “Immediate evacuation from the low levels of Oroville and areas downstream is ordered. This is NOT A Drill. This is NOT A Drill. This in NOT A Drill,” says the statement posted on the Butte County Sheriff’s Facebook page. The statement refers to the Lake Oroville Dam, located 105 km (65 miles) north of Sacramento. Submitted by Satinder P S Puri on Sun, 02/12/2017 - 22:29. Submitted by Jeff Buster on Sun, 02/12/2017 - 15:44. Please take a minute and review the ACLU's citizen's rights review at this link. Click through the pages of the ACLU review. One suggestion that the ACLU did not make is turn on your telephone voice audio recorder and leave the phone in your pocket - maybe a recording could be helpful later. Nordstrom or NUTS? is POTUS gone? Submitted by Jeff Buster on Wed, 02/08/2017 - 20:30.
so we have a very serious situation: the three persons who are in line to lead the USA are POTUS, Vice POTUS, and Paul Ryan, leader of the House. Submitted by Jeff Buster on Wed, 02/08/2017 - 14:02. The reason a realneo.us name search would not find the realneo.us server is because the domain name had expired. Admin did not realize the expiration was approaching because emails which in the past were forwarded to admin from the registrar had been interrupted - no longer forwarded via other terminated domains. Admin apologizes for the inconvenience. At no time was the realneo.us content at risk. Submitted by Satinder P S Puri on Mon, 01/30/2017 - 21:19. Submitted by Jeff Buster on Sat, 01/28/2017 - 14:35. The New York Times has suggestions for persons who would like to anonymously forward news tips to the Times - at this link. Of course, the suggested methods - using sites which encrypt and do not store identity back-track information - can be used for communication to other news organizations or persons. Submitted by Satinder P S Puri on Sun, 01/22/2017 - 20:58. 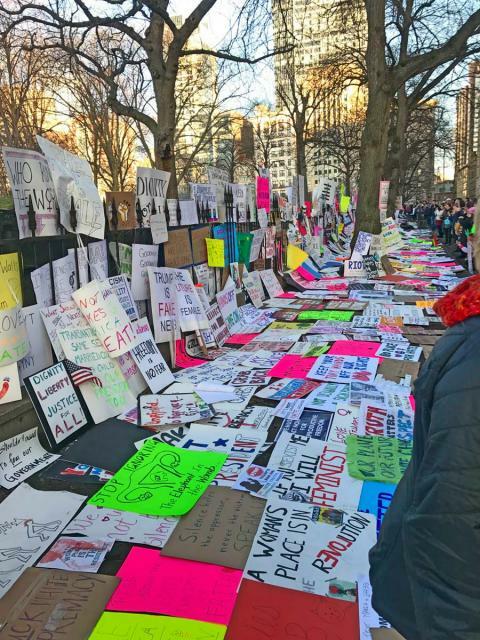 Hear this, Mr. President (Trump): Women will not be silent equity now! Submitted by Jeff Buster on Sun, 01/22/2017 - 15:02. Raising the price of milk by colluding to restrain supply (slaughering 1/2 million dairy cows) is a violation of the Sherman anti-trust act. BTW, Sherman was a Republican from OHIO! Open Carry of Machine Guns in Shaker Square - Ohioans exercise second amendment rights! Submitted by Jeff Buster on Sun, 01/22/2017 - 12:01. How can we be sure these folks weren't just making a large deposit at the PNC bank in Shaker Square? Cleveland.com was careful not to mention "Shaker Square", instead refering to the robbery as being "in the 2700 block of South Moreland Blvd. Why? Ad dollars from whom? Submitted by Jeff Buster on Sat, 01/21/2017 - 22:05. All around the world today persons went out and demonstrated. Millions and millions of people. Where were those Americans during the election last fall? Our democracy focused/set in Washington DC is the problem. It is obsolete. It attacts sociopathic persons, mainly men, who go to DC and are then easy prey for the lobby corporations. Submitted by Jeff Buster on Sat, 01/21/2017 - 15:06. Submitted by Jeff Buster on Wed, 01/18/2017 - 21:50. Submitted by lmcshane on Sat, 01/14/2017 - 09:39. Eric J Brewer: Forest Gump is smarter than Mayor Frank Jackson. I'm amazed at how after nearly 12 years in office Jackson doesn't understand that he's been “suckered” by Chief of Police Calvin Williams, Safety Director Michael McGrath and Executive Assistant Martin Flask. As mayor I'd fire all three my first day on the job. I'd hope they had sense enough to resign. Submitted by Satinder P S Puri on Fri, 01/13/2017 - 15:53. Submitted by Jeff Buster on Wed, 01/11/2017 - 13:40. What Roldo writes is absolutely true...I knew Ed Hauser well. Please read Roldo here at Have Coffee Will Write. Submitted by Randino on Thu, 01/05/2017 - 20:05. January 2017 Author’s Note: The Neo-Liberal City was an act of dissent that was clandestinely distributed in the early 1990s as what we called Urban Samizdat – after the clandestine critical writings of the old Soviet Union. It was clandestine because the author and the co-conspirators in the project worked in city government or other venues that would not have received the message of The Neo-Liberal City very kindly. It was during the administration of Mayor Michael R. White who was notorious for firing people on the whim. So, discretion was called for. The details described may date it, but the basic bones of what it describes are still the ruling realities of Cleveland. This essay is the second of two that were inspired by the recent article in Cleveland magazine, concerning the impact on Cleveland’s neighborhoods of Neighborhood Progress Inc., the non-profit funding institution that has revolutionized the world of non-profit development corporations. The title of this essay is the Neo Liberal City. It attempts to move from a focus on NPI, to a broader focus on how Cleveland has and is being reorganized since the end of the Kucinich administration and the resulting consolidation of private power during the Voinovich and White administrations. This essay is not intended to be an academic essay, a policy analysis, or a muckraking exercise. It is an unabashed polemic. It seeks to develop broad themes and ideas about where Cleveland is at today, and where it is going. Since a polemic is a call to action, it attempts to begin the development of an alternative politics of activism to combat what the author feels is an insidious, anti-democratic and unjust new order in our city. Submitted by Satinder P S Puri on Sat, 12/31/2016 - 20:01. Submitted by lmcshane on Wed, 12/28/2016 - 09:05.